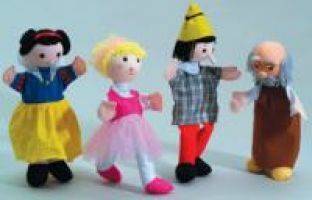 Act out your favorite fairy tales with these hand puppet characters - Snow White, Beautiful Ballerina, Pinocchio, and Gepetto only need your help to come alive. Tell the familiar stories, or come up with entirely new ones of your own! Combine with the Royal Hand Puppets set for even more dramatic possibilities!